At least 16 states and the District of Columbia have introduced legislation authorizing retroactive sentencing remedies for persons sentenced to life imprisonment. Most states are in legislative session while lawmakers and state advocates advance policy reforms to scale back mass incarceration and challenge racial disparity in sentencing. This year, several states have explored law changes to recalibrate prison terms for life sentenced individuals. At least 16 states and the District of Columbia have introduced legislation authorizing retroactive sentencing remedies for persons sentenced to life imprisonment. Republican sponsored legislation – HB 195 – was introduced in Missouri that would retroactively authorize a parole review for persons sentenced to life without parole who have served at least 25 years for qualifying offenses and met other requirements like demonstrating rehabilitation. The measure was heard in committee earlier this year and garnered support from Empower Missouri, the Missouri NAACP, the Catholic Conference, and family members of life sentenced prisoners. 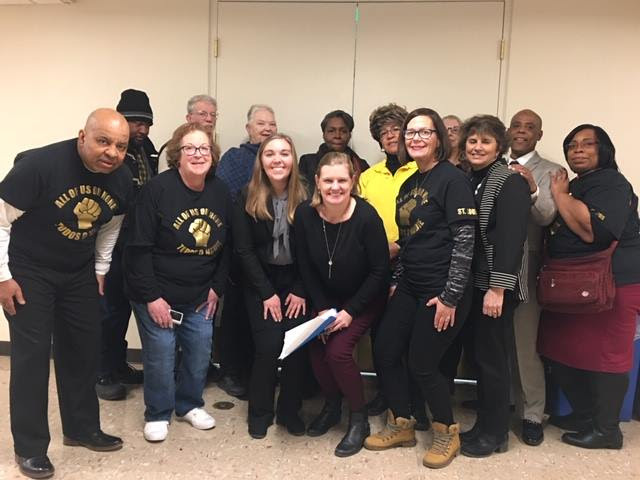 While HB 195 was not voted out of committee, another measure authorizing elder parole for persons age 65 or older sentenced to life imprisonment was recently voted out of the House and is being considered in the state senate. Empower Missouri members advocate for criminal justice reform, including ending life without parole. Lawmakers in other states are considering remedies for life sentences too. D.C.: Officials are considering legislation – B23-127 – authorizing resentencing after 20 years in prison for persons whose offense was committed before age 25. Previously, city officials authorized resentencing for certain teenage defendants after 15 years of incarceration. Maryland: Lawmakers considered legislation – HB 443/SB 121 – authorizing parole without the governor’s approval for persons sentenced to qualifying parole-eligible life sentences who have served 30 years. Massachusetts: Legislators introduced measures H 3358/S 826 that retroactively authorize parole reviews for persons sentenced to life without parole after 25 years. New York: Policymakers voted out of the Assembly and Senate Corrections Committees “Elder Parole” (AB 4319), which allows people aged 55 and older who have served 15 consecutive years in prison a consideration of parole release regardless of crime or sentence (including those with life without parole). Lawmakers and advocates are also pushing for AB 4346, which would change the standard of parole release in New York and create a presumption of release for all parole applicants, including those with a life sentence. Tennessee: Measures HB 1128/SB1181 would retroactively authorize parole for persons sentenced to life prison terms after 25 years. Currently, persons sentenced to parole-eligible life prison terms must serve 51 years before their first parole review. Texas: Lawmakers considered HB 256 earlier this year. The bill would allow parole eligibility for individuals who were younger than 18 at the time of their qualifying offense; persons would be parole-eligible when the actual time served equals one-half of the sentence or 20 years, whichever is less, following minimum time served of two years. Currently, persons are parole-eligible when the actual time served equals one-half of the sentence or 30 years. Washington: State legislators considered SB 5819 earlier this year. The bill would allow persons who meet certain requirements to apply for a sentence review after 15 years. Vermont: HB 382 was introduced earlier this year to eliminate life without parole as a sentencing option. The measure would authorize a parole review after 25 years in prison. California: AB 32 was considered to end contracting with private prison companies. The bill bans new contracting with private prison companies starting in 2020 and sets an end date of 2028 for the removal of all incarcerated persons from private prisons. Delaware: Lawmakers introduced a package of criminal justice reforms proposing a range of changes including a measure to recalibrate excessive sentences for habitual offenses. Florida: State advocates are calling on lawmakers to incorporate intentional policy changes to address racial disparities in state criminal justice reforms. Kentucky: Organizers rallied in support of expanding voting rights to persons with felony convictions. Massachusetts: Advocates organized a series of events in support of policy reforms to end life without parole as a sentencing option. Nebraska: Legislators are considering LB 169, a measure to expand federal food assistance for persons with a felony drug conviction. Currently, residents with three or more prior felony drug convictions are ineligible for nutrition assistance. Nevada: Lawmakers advanced AB 183, legislation that phases out the state’s ability to contract with for profit prison companies. New Mexico: Policymakers advanced several criminal justice reforms including a measure shifting release standards for persons sentenced to parole eligible life terms. The bill would require the Parole Board to demonstrate why a person should remain incarcerated after 30 years in prison. North Dakota: The Legislature advanced a measure eliminating mandatory minimum sentences for nonviolent drug offenses for defendants with qualifying prior criminal histories.